The dog cabin is made of heavy-duty polyester with a waterproof bottom. The front opening has a zippered, mesh screen layer and a zippered, vinyl layer to block wind and weather. There is a second rear opening which is where I hop in. 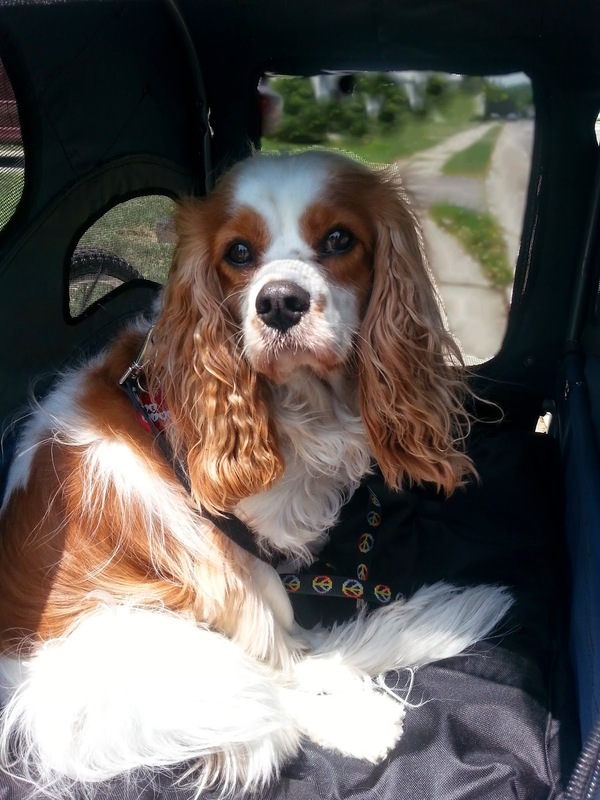 Inside the dog bike trailer is a safety leash and removable washable cushion. Mom likes all the pockets so she can store my goodies and water bowl. I really, really enjoy going for rides in my Track’r Houndabout II Large Bicycle Trailer! Mom and I went for a lot of bike rides when it was cold outside, but no snow. We also ride on mild days, but not when it’s too hot. Mom is a fair weather rider. But I would like to go for more. I lie down, looking out the front and back windows. They are nice and big, and I get to watch the world go by. Mom said it’s too big for her small car to take on outings besides our neighborhood bike rides. That’s a real bummer because I really would like to go on more adventures in it. Mom even bought the Solvit HoundAbout II Pet Stroller Conversion Kit to turn it into a dog stroller, but she has never put it together. We just use our regular dog stroller- Pet Gear Special Edition Pet Stroller. Track’r Houndabout II Large Bicycle Trailer is a real hit with me! Mom is glad she asked for it for Christmas, but she doesn’t use it as much as she would like. So if you can do me a favor, tell her to take Dexter The Dog out for more bike rides! I would really appreciate that. Thanks. 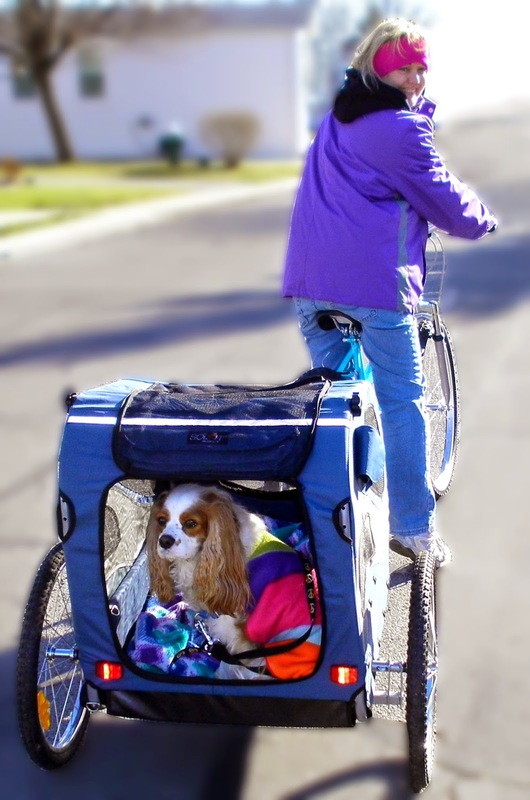 Have you gone biking with your dog? Tell me in the comments.